A naturally gifted producer from Barcelona, HEREN’s talents as a versatile producer can be found across his forty+ releases on labels such as Ultra Music, Universal Music, Sony Music and Yoshitoshi, among many others. 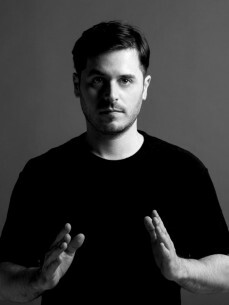 A former member of Spanish dance act YALL, his breakthrough came when the groups single ‘Hundred Miles’ became a viral hit with over 160 million streams worldwide thanks to a TV campaign by fashion brand DESIGUAL, which led the record becoming one of the most popular songs of 2015 and earning the record a series of #1 chart positions worldwide. The single would find fame again in 2016 when used in a TV campaign renowned soft-drinks brand Pepsi. Following a period of “studio hibernation” as HEREN put it, 2016 saw the release of his latest solo release ‘Here & Now’. To date the single has amassed over 3 million streams worldwide and found radio support within Europe and South America. The single will be used as the opening jingle for Spanish TV show ‘Tu Si Que Si’ on laSexta (one of Spain’s most watched TV channels) and has been placed with charts such as the Massive Dance Hits UK and the Top 200 Dance Chart on iTunes in France, Sweden, Peru, as well as becoming one of the 50 most viral tracks in Argentina, Spain, Chile and México. The singles remix package includes cuts by Embody, Ramon Esteve and HEREN himself. Looking forward HEREN has new music coming up on Ultra Music, Sony Music, alongside a new collaboration with Desigual which sees his forthcoming single ‘One Life’ feature as part of their ‘Exotic Jeans’ campaign. The video for the ‘Exotic Jeans’ campaign featuring ‘One Life’ has already received over 1.2 million views on YouTube since its release mid-September.